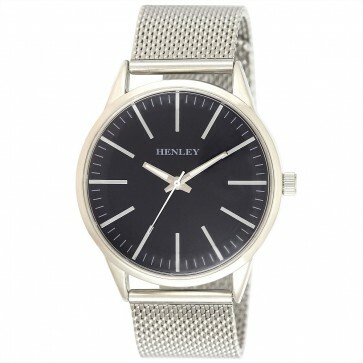 The Henley Mens H02168 is a bold, smart, contemporary time-piece. It;s sun-ray dial and subtle index are brought to life by the white second hand. All of this is set in a bold and modern case on a luxurious mesh bracelet.